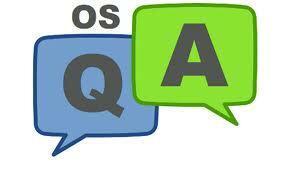 OSQA is a crowd-sourcing question answer forum based on Python and Django. I do not claim this tutorial to be the best OSQA installation tutorial, but I’m sure as of today this is a better tutorial for OSQA installation on Dreamhost shared Hosting. There are a couple of other tutorials on the web which are either stale or do not give importance to minute details and issues which come up during the installation, usually for Linux newbies. Unlike most of the forum applications which run on PHP, OSQA runs on Python as a Django application. Shared hosts like Dreamhost does not have OSQA as a one-click-install solution. They do not provide root access to change/modify/install system files either. However, full access to the user profile is available hence, we install all the required applications in our user directory to setup OSQA. So, let us start with the installation. Things you would require are, Dreamhost shared hosting, SSH client like PuTTY and a shell account. Setting up your domain, user and database. Select the user under which you want to install the domain and OSQA, or you can create a new user to keep it clean. Web directory will be automatically populated with your domain name. You will now get a pop up message which says Your web directory must end in /public to enable Passenger. Change this automatically? Leave all other options as it is and click on Fully host this domain and your domain will be setup under the new users directory. On the Dreamhost panel, click on Manage users => click on Edit next the newly created user => select Shell account under the User Account Type:, Shell type should be /bin/bash => Enter a new password and click on Save changes. Click on Add new Database now! Enter your username and password you created in the steps above to login. There are a few things you need to remember while installing OSQA on Dreamhost shared hosting. You don’t have root access to the server hence you cannot make changes or add extra modules to the webserver or Python. OSQA does not support Django 1.4. So we must install Django 1.3.1 for running OSQA successfully. Now set your new Python installation as the default installation. Press escape key to exit the editing mode, now type :wq and hit enter to save and quit and you will be back to the home directory. Now install Django 1.3.1 and other required python modules. To install python modules you can either use easy_install or pip. In this tutorial I have used easy_install for all the modules and pip is only used to install Django. This is because only Django 1.3.1 works with OSQA right now and pip has the option to install specific version (which easy_install doesn’t). Lets start. Press escape key to exit the editing mode, now type :wq and hit enter to save and quit. (Important: replace “your_domain” and “your_shell_username” with the domain name and shell userid you created). Your OSQA installation is now complete. Open a web browser and open your new OSQA domain name and you should be good to go !! I have installed python2.7 and django on bluehost. But the result is 500 error :(. Tried so many times but it’s not successful. I have seen your tutorial it’s excellent but it is for dreamhost. Thanks a lot. I have successfully installed osqa for my website //stackquery dot com Thanks again for your this detailed tutorial. Sure, I am Glad it helped !